“Taking an evenhanded tone, Palihakkara stated that he surmised the LTTE’s motives for playing a ‘surprise card’ in Oslo were two fold. First, they wanted to demonstrate to the Tamil diaspora, which in large part funds the terrorist organization either willingly or unwillingly, that the E.U. ban had neither affected their fundraising and recruitment abilities nor their resolve. Second, Palihakkara contended, the LTTE wanted a well-publicized platform from which to release their clearly premeditated ‘Oslo Communiqu’ of June 9: the document may have presaged LTTE military or other violent action against the GSL.” the US Embassy Colombo informed Washington. 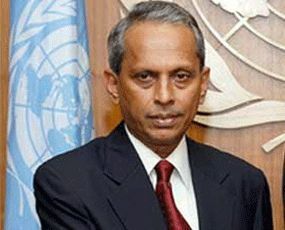 A Leaked ‘Confidential’ US diplomatic cable, dated June 13, 2006, updated the Secretary of State regarding and a meeting Ambassador Jeffrey J. Lunstead had with Foreign Secretary H. M. G. S. Palihakkara. The Colombo Telegraph found the related leaked cable from the WikiLeaks database. The cable is signed by the US Ambassador to Colombo Jeffrey J. Lunstead. “While Palihakkara admitted the possibility of “nasty” Tiger violence, he said, “My gut feeling is that the LTTE is more posturing than substance. I don’t think there will be a major security problem.” On the issue of LTTE refusal to accept EU nationals as members of the SLMM, Palihakkara recommended patience. “The LTTE needs the SLMM as much as anyone else.” Similarly, Norway is “correctly facing a lot of criticism by trying to accommodate the LTTE” but “Norway must be given some space” to facilitate.” Lunstead further wrote. Kohona's debrief upon the latter's return to Sri Lanka. organization either willingly or unwillingly, that the E.U. violent action against the GSL. ¶4. (C) While Palihakkara admitted the possibility of "nasty"
must be given some space" to facilitate. of power to the North and East; "humanitarian focal points"
"is also in an impossible situation. They are afraid." one of Sri Lanka’s best diplomats, unlike the present lot of uneducated relatives.